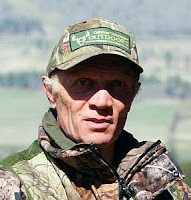 Over the last decade I have been fortunate enough to share my passion for hunting and fishing, plus the deep appreciation he that I have for nature, in some the leading outdoor magazines and newspapers throughout Canada. My aim is to inform and inspire others about our rich and diverse hunting and fishing heritage as well about the responsibility we share as stewards of all things wild and beautiful. Before I became a full time photographer, hunter, angler and outdoor communicator I earned a living for over 30 years as an internationally respected animal beahviourist, a specialized knowledge that I readily incorporate in the many years of hunting and fishing experience. To me hunting and fishing has always meant more than just going out to pursue wildlife and catch fish; to me these things are a way of life. If I am not out hunting, fishing or studying wild animals I write about my endeavours and what I learned. You can read more about me here. My newspaper column in the Merritt Herald can be read here. I have been fishing as far back as I can remember, be that in Switzerland were I grew up or later on my international travels. Wherever there was a body of water that held fish me and my rod where never far away from it. Although, trout are my favourite game fish, I am just as keen fishing salmon, bass, crappie and other fish species. 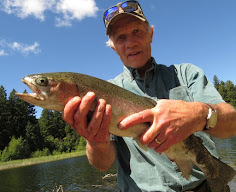 On this blog I share my fishing experiences and pass on some of the things that I learned in all these years.